Americans may be warming to the idea of facial recognition. Many say there should be limits, but it depends on the situation, according to a new study. For example, about a quarter (26%) of consumers think the government should strictly limit the use of facial-recognition technology, while nearly half (45%) do not think the government should limit it. A majority (59%) of online consumers say police departments should be allowed to use it to help find suspects. The majority (54%) do not agree that the government should strictly limit the technology if it means airports can use it to speed up security lines, according to the national online survey of 3,200 U.S. adults conducted by the Center for Data Innovation weighted to match U.S. Census data. The Orlando Police Department is planning a second phase of facial recognition testing, using police officers who volunteered to participate. Delta Airlines added facial recognition technology for travelers heading through Hartsfield-Jackson Atlanta International Airport. JetBlue partnered with U.S. Customs and Border Protection to use facial recognition technology to verify travelers going through New York’s John F. Kennedy International Airport traveling to certain international destinations. Nuance is testing facial recognition for use in vehicles to determine the state of the driver. Retailers are using facial recognition via cameras in ComQi screens in stores to determine the general demographics of shoppers viewing the screens. The study found that age groups have a somewhat different view of the technology. While almost a quarter (23%) of those ages 55 and older say the government should strictly limit the use of facial-recognition technology, nearly a third (30%) of those ages 18 to 34 say it should be limited. Aside from facial recognition, more than a third (36%) of online consumers say the government should strictly limit the use of surveillance cameras, while 39% disagree and 34% have no opinion. No matter what the viewpoint, more and more faces are being scanned. 2 comments about "26% Want Strict Limits On Facial Recognition Tech, 45% Do Not". Ed Papazian from Media Dynamics Inc, January 22, 2019 at 5:49 p.m.
Hmm? 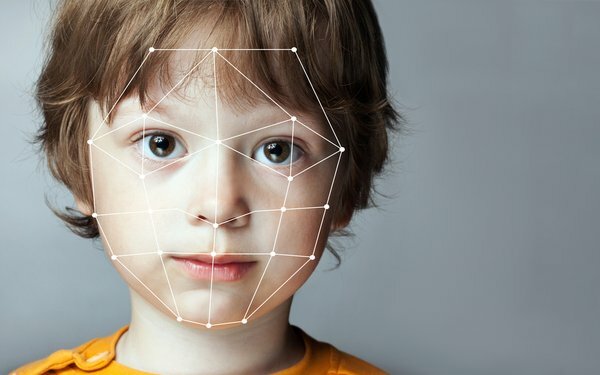 I wonder what percentage of that 26% who are wary of facial recognition---want strict limits---have prison records themselves or family members/loved ones with same? Oh well---I suppose that that kind of question would be a no/no---perhaps as it should be. R MARK REASBECK from www.USAonly.US , January 22, 2019 at 10 p.m.
convienience ??? I just checked my high school year book, I'm not sure who that was with my name under the picture. How is this supposed to follow aging? Then there's another problem. I'm from Vegas, Plastic Surgery Capital of the world. Too many people want us to be Europe. BTW Ed , never been arrested or served time, and I don't want my face to be recognized in a crowd by random agencies, or by folks with bad intentions or to verify I'm the dad of someone holding a family member hostage.